You have the ceremony venue picked out- a city park, a quaint beach overlooking the water, a high ceiling loft, or the same location as the reception. If you choose a non-traditional space, the options are endless in creating a ceremony that reflects the two of you. 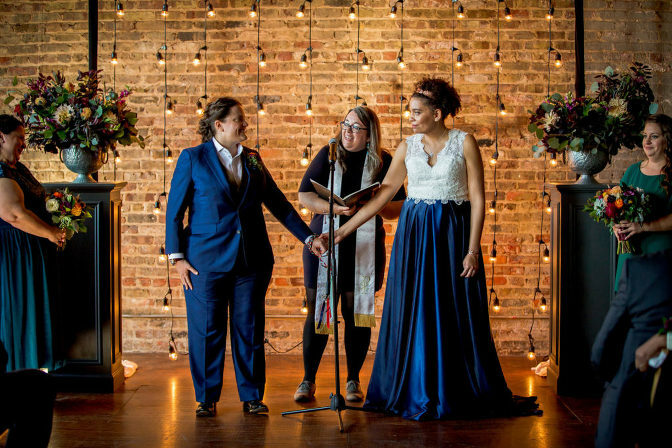 Thus, we have put together this brief guide to assist couples and their chosen novice officiants in curating the perfect ceremony verbiage. Naturally Yours Events has multiple recommendations for vendors that specialize in officiating ceremonies and public speaking. These professionals are experienced, talented, and certified. They listen to your story, guide the flow, and creatively put together a ceremony that reflects who you are as a couple- making it feel as though they’ve known you all along your journey. They also provide great insight in ways to fuse cultures and traditions in a neutral way. Or they can help you create your own traditions that will make your wedding that much more special. 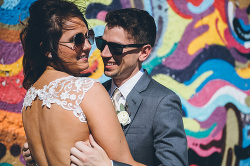 We can guide you on choosing an officiant to hire that will fit your vision, personality, and budget. Just reach out! While it is advised to hire a professional to perform your wedding, some of our clients choose to have a close friend or family member officiate. This can add a personal touch to your ceremony, or honor the person tasked with this request- but where do you start to ensure this person is prepared for their role in your day? Get Ordained: There are several different websites to use. The NYE team used Universal Life Church. It literally takes about three minutes (requested info is name, address, birthday, and a few other details). It is free, but we paid $25 to get a little wallet card to carry around and look fancy. Another good option is AMM. Length- determine how long your ideal ceremony will be. A typical wedding ceremony is 20-30 minutes long. Our advice is to keep it short and sweet. 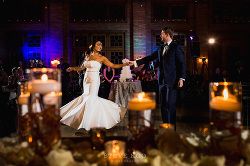 Guests often grow restless if the ceremony is lengthy, especially in uncontrollable elements like direct sunlight or Chicago wind. You can use this basic outline to then build a ceremony that is uniquely yours. The words can be changed, but the meaning has to stay the same for these specific items. You can add readers, stories, jokes, traditions, unity aspects (tree planting or candle lighting), etc. Practice! 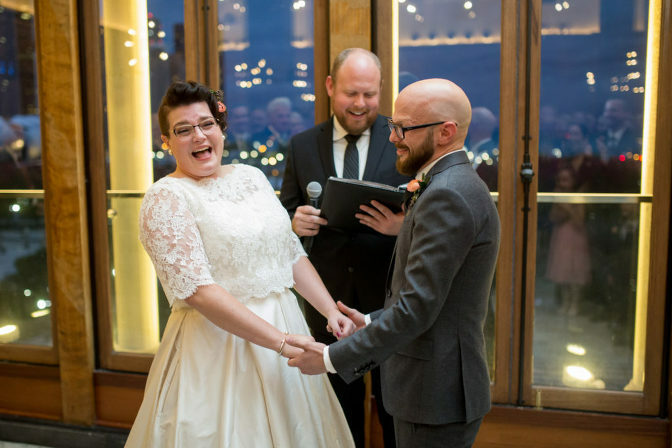 Encourage your officiant to write out the actual verbiage in a script format. They should then read it out loud to him/herself and to family or friends to ensure they are comfortable with the public speaking aspect. On the day of, we recommend a black or neutral folder to hold a printout of the ceremony. Print it in large, easy-to-read font with a clear outline, including breaks to pause and take a breath. Speak slowly and enunciate. And that’s it! Hopefully this gives a bit of guidance. Your Naturally Yours Event’s lead coordinator would be more than happy to read over the ceremony draft and provide helpful insight.